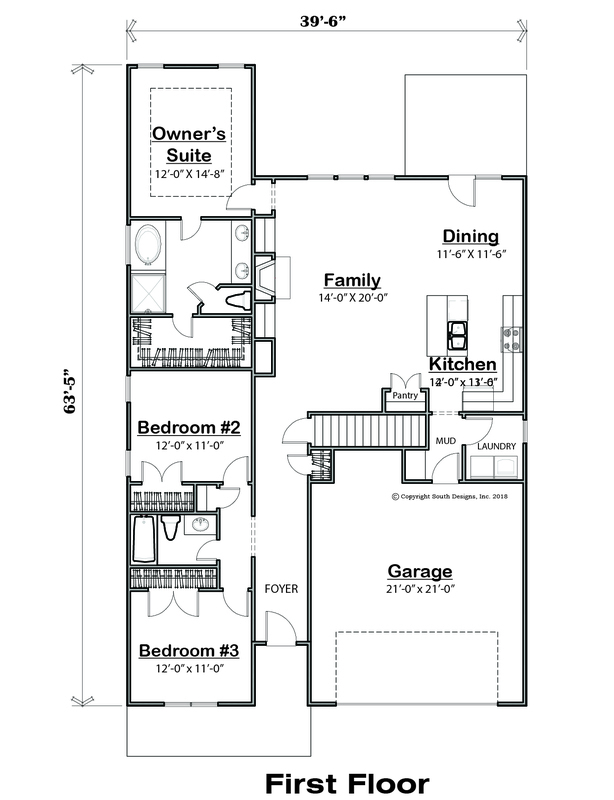 Need an affordable ranch plan that will fit most any lot?…. The “Daphne” plan is for you! 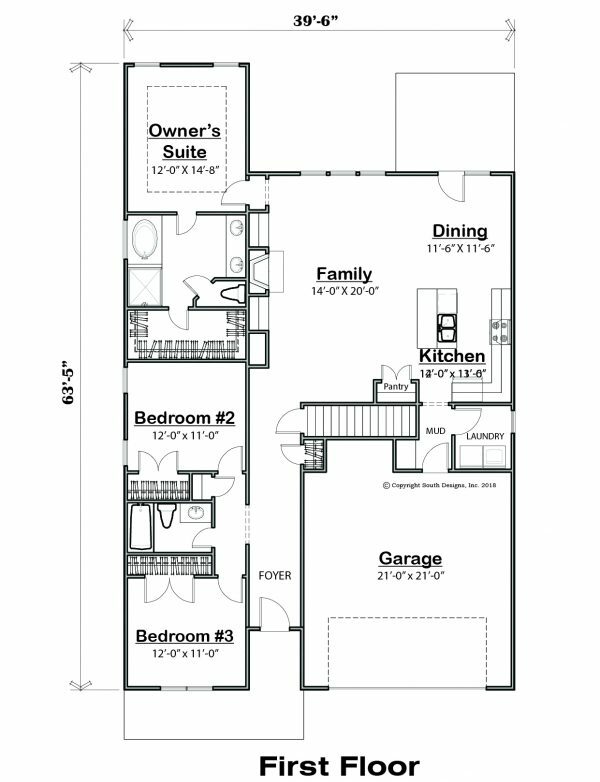 This 3 bedroom plan has it all. 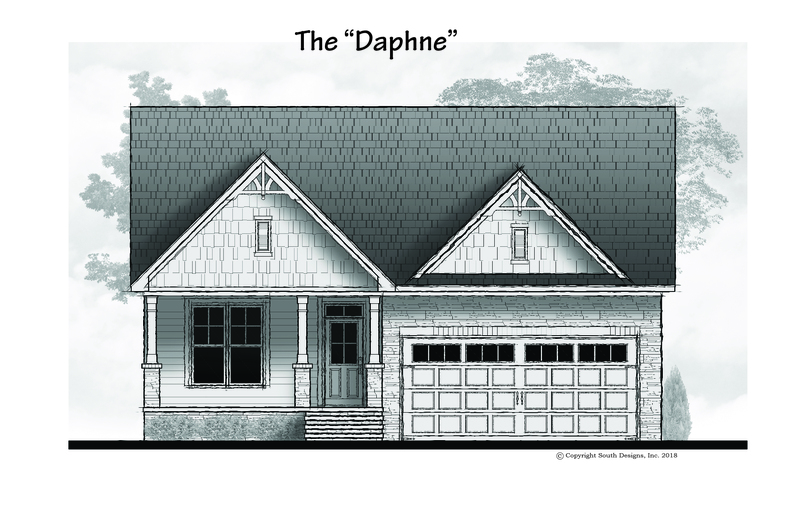 With an open Family, Dining and Kitchen, you get it all. 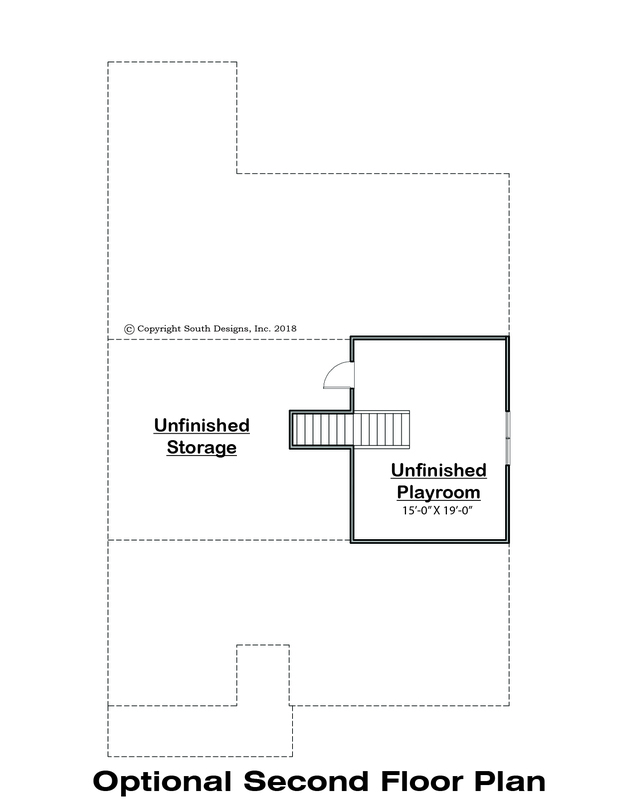 The optional playroom on the second floor adds that extra space for the fun times! 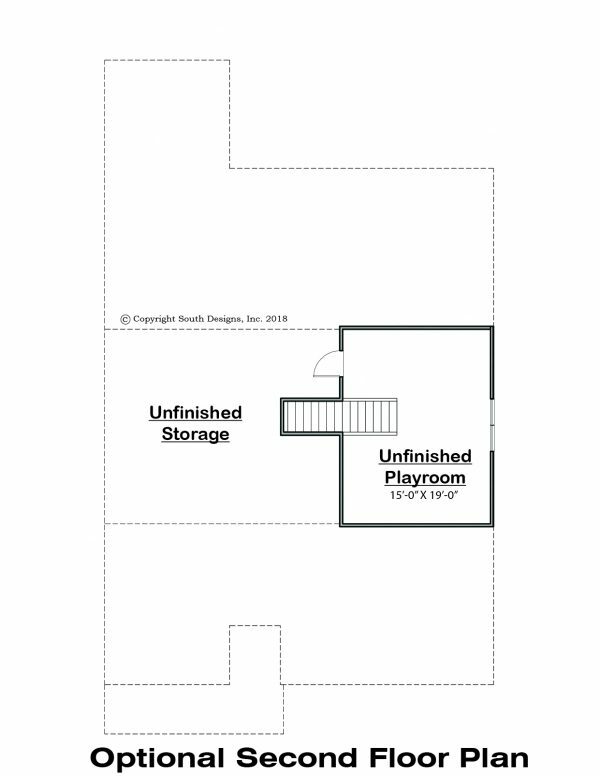 There is also room for expansion upstairs in the unfinished storage area.